Are you a designer or an artist? Do you know? Can you be both? Is there a place for one without the other? Can they be mutually exclusive? These inquiries tug at the inner fibers–the very fundamental being of the design profession. They circle an issue that is as old as design itself and can be boiled down, distilled, and re-distributed in one very succinct query: Is the designer an artist? The question of whether we are, or are not, artists is a topic that’s consistently being addressed. Perform a basic search, and you will find a myriad of content bubbling to the surface in articles, books, posts, and essentially wedged into every nook and cranny of the internet. The responses are varied. Some feel (rather passionately) that they deserve to be separate. They cite the commercial and technical nature of design, the overall purpose of design vs. that of art, how design addresses the needs of the client and commerce—while art responds to the needs of the individual or self. Others are more on the fence, responding with more questions like those posed in the beginning of this article. They question whether we have allowed commerce to shear off the artistic edges of our daily work until we can only see the utilitarian purpose of what it is we do. There’s simply no easy way to settle this dispute. We’ve been having it for years, and there are too many voices. Yet, the issue is still explored, as it should be. Through extended examination we better understand the question, and while that still may not yield clear answers, it does drive us to think. And artist or not, that’s a good thing. We were so happy to find out that Sarah Hall, principle of Harley & Co., was going to take a bite out of this topic during her upcoming sessions at WebVisions. Sarah has, as you will see, done some serious deep thinking on this topic. She poses interesting and thought provoking ideas about designers as artists and where the process has gone wrong. I think there are designers out there who are actually perfectly fine with this pay for service dynamic and it’s the type of relationship they want within the market. You’ve made the statement that, “Art has always had an uncomfortable relationship with commerce.” Why do you think that is? I think historically art has struggled to free itself of its patrons because there is an inherent contradiction in the relationship that really chaffs the artist. The contradiction is of course an obvious one; the artist does not create to satisfy a transaction. The artist creates because they want to express something interesting or essential, and that vision and output may or may not align with the desire of the market. Practically, this type of misalignment results in lost clients, unfulfilled contracts and sometimes just not clients for artists. A painful, and logistically difficult process to go through. At this point I think it’s important to note that there have been exceptions to this, and those individuals have been some of the world’s greatest art patrons. They have supported artists simply because they thought what that artist was doing was important. You could definitely make the argument that those individuals, many of whom were in NYC from about 1860 – 1970 played a critical role in the emergence of some of the greatest works of American art. Sadly, these artists are often the exception and the whole model shifted when corporations started being “patrons” of art, which now is the more common experience of this transactional element that many people have. I recently went to far west Texas and passed by the Judd Foundation in Marfa, which is remarkable. Judd thought a lot about this transactional element in his attempts to create his own presentation of spaces for his art. I think it’s interesting that someone at his level of success, often perceived having “freedom” as still struggling to figure out how to exercise authority over your art. A representation of the things you think and believe about the world. There are some in the design field who would make it a point to separate the artist from the designer–emphasizing the commercial or “trade” nature of the profession over the artistic aspects. Do you think that’s a mistake and why? I think this is, in many ways, one of the most critical questions and one that I don’t know the answer to just yet, so instead I will share some of my thoughts. 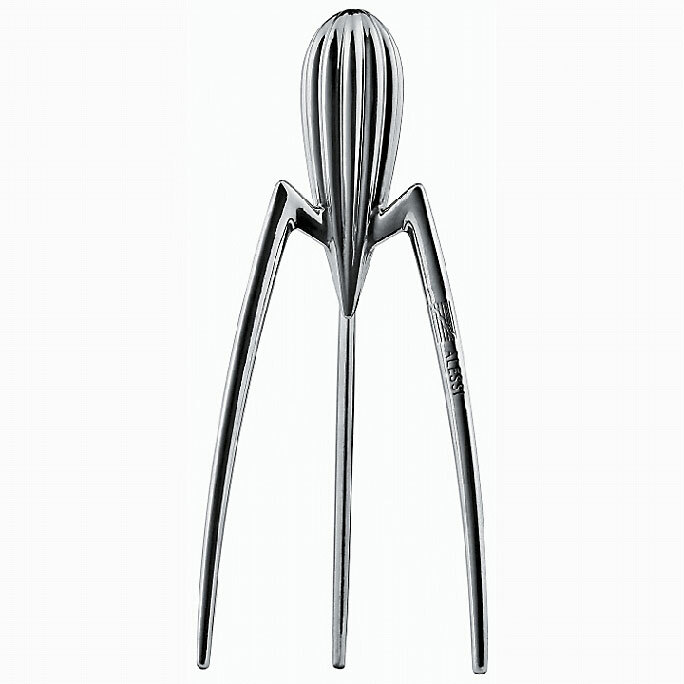 I think in the way we protect our work there is a very clear separation between the artist and the designer. 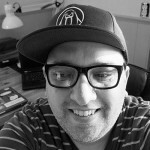 I have worked with many designers who execute their “practice” in the manner of someone who is doing something more closely aligned to plumbing or another applied trade. There’s nothing wrong with this, in a certain respect, because plumbing is critical and there are some incredibly smart and talented plumbers — however it is a different way to think about the responsibility and impact of your work. On the other hand, this presentation in the market re-emphasizes this transactional nature of, “I’m paying you for a service and you need to perform it to my liking”. I think there are designers out there who are actually perfectly fine with this pay for service dynamic and it’s the type of relationship they want within the market. The problem becomes that we, agencies and artists, don’t all want to work this way and a real artist wouldn’t unless they had their back against the wall. This probably gets at a question you ask later on, which is that the market needs to become more nuanced so that when a client hires someone they understand the difference–trade vs. art. I don’t believe that a client can dictate the nature of the work and still ask for art. 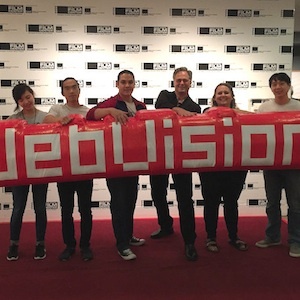 You’re talk at WebVisions NYC will, in part, discuss the growing separation between the artistic and commercial sides of the work we do, and how closely project success has become tied to performance and metrics. What do you think is the key to emphasizing the artistic aspects of design in addition to the commercial aspects? These are great questions because they are very complex and I think reflect how complicated this challenge is. I think metrics have presented an incredible opportunity but also a bit of a Pandora’s box for the artist and the purchaser. Sadly, I think that performance metrics are an area that agencies, not necessarily artists, have done the greatest harm and this relates to the question above a little bit. If the work was performed as a transaction and the payment takes place at the point of delivery, i.e when the website is live, then this presents little incentive for an agency to consider the long term impacts of the work they create. Payment upon delivery has created an environment where we have a lot of digital birthed Frankenstein’s wandering around. Take the publishing industry for example, I know of one agency that has re-designed many of the big magazine and news publishing websites. Their “big idea” has been to atomize content which essentially means break it up into tiny little pieces that can all be shared and tracked — headlines, excerpts, titles, etc. They think this sounds cool and will be fun for the reader so they advocate for it in the market. The problem with this is that if you are a writer, and you are measured solely on social metrics associated with your writing, then your boss starts to judge your success by how many times your headline or excerpt was shared. Is that what we really want to set as the standard for good journalism? It would be one thing if that was the case at one magazine, but it is now a significant portion of the market as a result of one agency that had the power to shift the entire model used in assessing writers. I think that’s a tragedy, particularly because I’ve worked with them and I know this wasn’t intentional, for them it just seemed “cool” at the time. For me, it’s an example of one of the dangers of metrics becoming a determinant feature in our businesses. We’ve seen several articles in the past few months about websites starting to look the same. Our contention is that the more we build and promote design systems, frameworks, etc. as easy, push button solutions we should not be surprised when everything looks similar. What do you see as the state of web design at this time? Are we in danger of “gentrifying” the web because we are sacrificing originality for canned solutions? With websites we are operating with some pretty significant technological constraints. Those constraints shift over time and at those shifts is where we see the most significant change when it comes with design. That is, of course, because we see individuals playing with the new rules. In between these periods of technological innovation and increasingly due to the accessibility of out of the box solutions like Squarespace, new web design has plateaued. We also can’t discount the market impact of clients who have the unfortunate tendency of being risk averse (even though it’s often not a real risk) and therefore ask for something that’s already been extensively “proven” as a design strategy or element. This then just promotes that “sameness”. The problem becomes one of balancing practicality with art. At Harley & Co. the question is how can we create moments of design within necessity. For example, on an e-commerce site there are some proven best practices about flow, structure etc. However there is still a lot of room to play with pushing boundaries in areas like how the site is animated both through movement and content. The art of design comes to life through the contextualization of the product via image, film, animation or the integration through the e-commerce grid. Originality can also come through the movement and transitions from page to page. These are the places where we can still create differentiation that is critical. In the past two decades standards have come of age, browsers have come of age, and responsive design band-aids many of the remaining gaps that still exist. As a result of these advances, websites have developed a certain level of “evenness” because everyone plays well together. With so many clear lines of sight in web design now where should we be putting our focus? I think I already answered this a little bit above, but I think one approach is to think of websites as a gallery that needs to have certain attributes and functions in order to create a seamless experience. However to your point, this is being delivered by technology so the question for us is then how do we use this as a foundation to push the content further and the intent further. The foundational technology elements are very freeing in that it gives us more time to think about the central “idea” of the work. What is this website supposed to do? Does it serve a real purpose? Is it configured appropriately for each platform? Is it filled with interesting and delightful things? We have had many experiences of creating beautiful, functional websites that the client fills with sub-par creative content, sabotaging the entire effect. One opportunity that’s exciting for designers is to push harder for clients to invest in what goes into the site over time. We also never design the same way for each platform or use technologies that just make sites “responsive”. You have to rethink design, how the user is using their device to explore content every time. It seems that the client might be partly responsible for the separation of art and commerce in modern web design. Many times they care about performance and return more than the visual look of a site. How can we educate a client on the importance of the artistic aspects of design? The client is very much responsible for this, but again it’s a complex dynamic that we as artists with agencies have perpetuated. You name the solution in the question as I really believe it’s a process of education. In order to educate the market I think we have to sometimes say uncomfortable things — such as “no”. “No” is one of the scariest words for designers and agencies to say, but I would say it’s also one of the most essential. We must say it to our clients because we believe that the client-agency relationship is a partnership where we have a certain degree of professional authority. We say no thoughtfully and we support it with research or experience, but we definitely still say it. Another thing that agencies need to do is re-value the individual as an artist that works within an organization or collective. Right now in the market it is the “agency” that is perceived to have created the work. That’s not accurate, individuals, and specific groups within agencies create the work and they are the owners of the artistic equity of that group. If companies want to buy into that artistic equity they need to really value the individual. I’m saying this because it creates a different dynamic. If you sign up to work with an artist you admire on a project you have a very different attitude then if you think you are hiring a “cool”, “relevant” shop to do something for your brand. 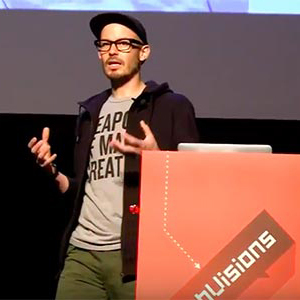 This year, WebVisions explores the impact of design and strategy as drivers for the future web. Considering this, what pathways are available to us to shift from technology and platform to art and design? 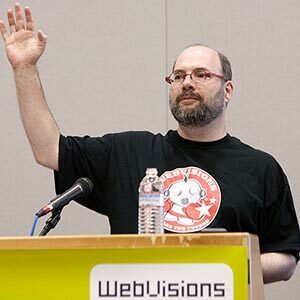 The number one pathway for us are things like WebVisions which play such a critical and often under appreciated role in the industry. They allow us to access public ways to start this conversation about our work and then we are able to begin integrating it into our work and the market. I think the questions you asked me are the questions we all need to be asking in a very visible way. We also need to take some risks in asking them and believe in the integrity of our work enough to be able to say things that might be considered slightly controversial by potential clients. We also need to support the individual artists in the field more by presenting their work to our clients differently, investing in the way that we train them within our organizations and protecting them in the market. It’s going to be a slow process but it needs to be one where people begin by having these discussions, implementing possible solutions, seeing what worked, and what didn’t, and then trying again. 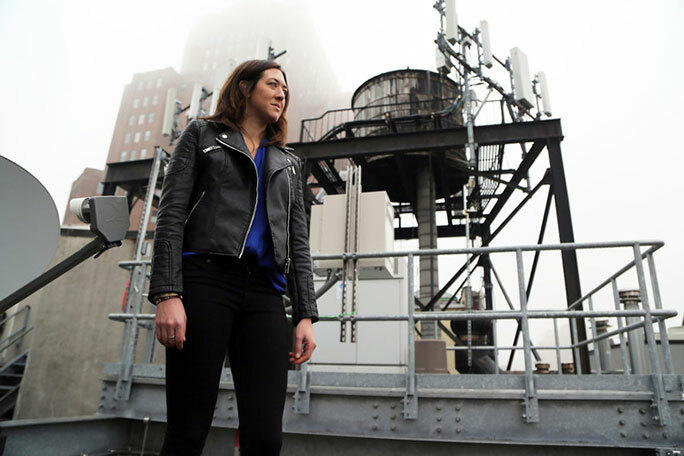 Sarah Hall is the principe of Harley & Co., a hybrid creative agency based in New York city. She will present talks on Art + Commerce, and the Science of Art during New York, Portland, and Chicago legs of WebVisions’ 2016 sessions.